Are the medications you’re taking robbing you of essential nutrients? Yes its true taking certain commonly prescribed drugs can cause certain nutrients i.e. vitamins and minerals to be depleted from the body. This can lead to increased risks for other diseases, and or side effects from the medications. So what can be done about this issue? One key thing is to know which drugs deplete which nutrients. Is the drug you are taking absolutely necessary?Ttalk to a pharmacist about which ones you might not need. If the drug is required then find out which nutrients are missing and replace them if necessary. For example commonly prescribed drugs are the proton pump inhibitors (PPI’S) which block acid production .Theses drugs are also available over the counter. However this group of drugs- examples are omeprazole, pantoprazole, inhibit calcium, vitamin B12,iron,protein,and zinc as acid is needed to absorb theses nutrients. Therefore continuous use increases the risk of osteoporosis (thinning of the bones), and anaemia which are both very important in women. Many patients remain on PPI’S for longer than the recommended treatment time, so speak to a health care professional. Low B12 can also cause dementia and nerve damage so you may want to get your levels measured. 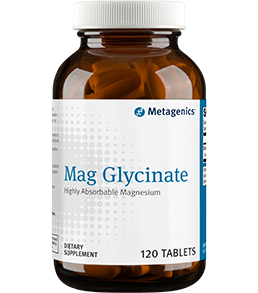 B12 1000mcg sublingually may be appropriate to restore normal levels. Zinc is important for healing and immune function .If continued therapy is necessary add supplements of B12, zinc,and iron. Calcium if supplemented need to be in a form that does not require acid for absorption calcium citrate not calcium carbonate. Other drugs that may cause problems are birth control or oral contraceptives. These drugs deplete folic acid, magnesium, vitamin b2 vitamin b3, vitamin b6, vitamin b12, vitamin c and zinc. These nutrients affect many things such as mood muscles, carbohydrate metabolism immune function and interestingly may aggravate pre menstrual syndrome (pms).I always recommend a good multivitamin along with a Bcomplex to all women on oral contraceptives. Another common drug nutrient depletion is that of the stain drugs prescribed to lower cholesterol e.g. Lovastatin,pravastatin,rosuvastatin,and atorvostatin deplete coenzyme Q10 .This is found in all muscles especially heart muscle and is often the cause of leg cramps in patients taking these medications. Supplementing with at least 100mg of Coq10 may help. Antibiotics used for infection deplete vitamin k probably due to the fact that they kill oFf the good bacteria in our bodies as well as the bad. Supplementing with probiotics may help with this and eating extra green leafy vegetables. There are many other examples of drugs causing various nutrient losses. Speak to your pharmacist whenever starting a new drug prescription or over the counter and ask if supplementation may be needed.